When inspecting sweet corn, you are first checking for the freshness of the corn by examining the color and freshness of the husks. You then begin to inspect the corn by husking the corn looking for defects of the cob. A defect, that unfortunately is all too common, is worm damage. Although worm damage is a defect of the U.S. No. 1 Grade, surprisingly the presence of worms is not a defect. In other words, if you are inspecting the corn based on the U.S. No. 1 Grade and you find a worm, or two, or three, it is not a defect. If the worm was eating the kernels and produced damage, the U.S. Grade Standards still allow 25% of the length of the ear to be damaged, before being scored as a defect. If over 25% of the ear does have worm damage, that ear is set aside and scored as a defect. You are allowed 10% of the ears to be defective, including damage by worms. 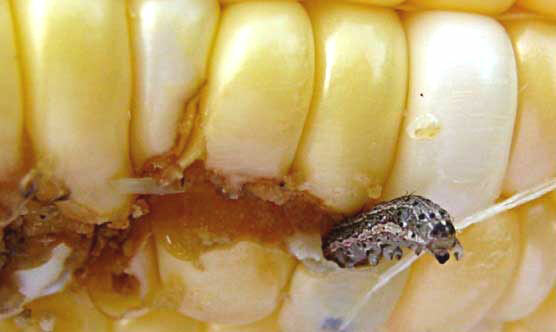 Take a look at the picture below and determine if the ear of corn is a defect. If you said this was not a defect, and this is allowed in the U.S. No. 1 Grade, you are correct. 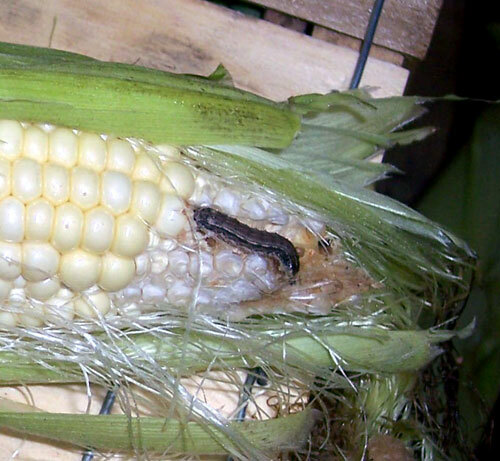 On an 8 inch ear of corn you are allowed up to 2 inches (25% of length) of worm damage at the tip of the ear. Thank you for posting these photos and explaining this type of corn damage. I’m new to growing corn, and I didn’t understand why my ears looked like the one in your photos. This article was very helpful. what about Fancy? Does the 25% apply? Good question Barb. For U.S. Fancy corn, worms and worm damage is a free from defect, so the 25% does not apply. If a worm is found or any evidence of worm damage is found the ear is scored as a defect.